Thought leadership - Emily Weekes - Copywriter, Content Curator and Interviewer based in Melbourne, Australia. If you have expertise and ideas to share, engaging a writer makes good business sense. I help clients to clarify their thoughts, whether online or in print, by asking the right questions. With experience and insight, I can find the best words, so you can focus on doing you. Urbis is a multi-disciplinary national organisation that helps to shape cities and communities, with experts representing areas as diverse as social policy, design, economics and property valuations. They engaged me to interview more than a dozen partners from all different disciplines, to bring together their expertise on the topic of how we can best build universities of the future. The result was a cohesive Urbis publication that conveys the breadth of expertise and value within one organisation, neatly and with purpose, giving potential clients a chance to see how comprehensive they are in their approach to just one topic. 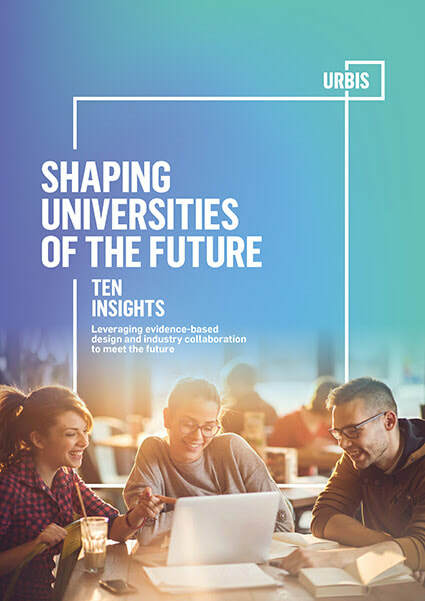 Click here to read Shaping Universities of the Future. "This publication has been a useful conversation starter and catalyst for our partners, helping them to line up business development opportunities and attracting attention from good contacts who've downloaded it from our website or our social media channels." "We knew she would deliver a publication that conveyed the breadth of our expertise. Ultimately, Emily helped Urbis to capture what we do best."